This exhibition of works explores the journey and contemporary experiences of young emerging Aboriginal artists. The artistic representations reveal a strong connection to culture and a sense of place. The artists have researched natural landforms, geology and coastal weather conditions. The works reflect the natural environment, an awareness that we are all connected to the places that we live. It is the interaction of land and water that binds our coastal communities together. The personal and artistic journey of each artist has strengthened their own connection to culture, country and identity. We hope you love our work. 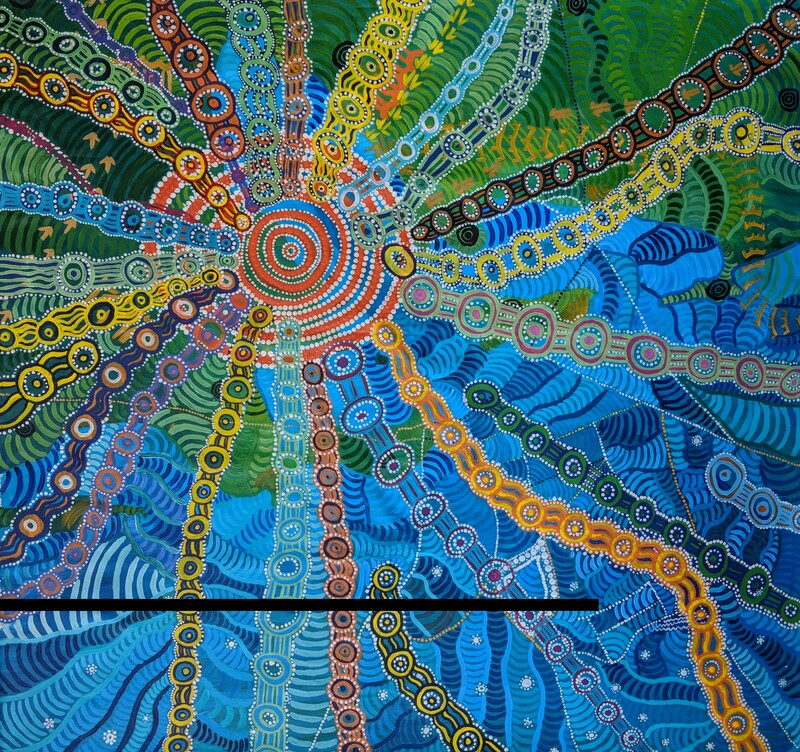 Port Lincoln High School offers a unique Aboriginal Art Program to students interested in the Visual Arts. Students develop their own artist profiles and portfolios. The student’s artworks now form collections in most states of Australia, Japan, China, Belgium and Africa. The artworks they produce explore connections with culture, identity, family and place. The program celebrates local culture has been successful in fostering positive relationships with young Aboriginal people as mentors and positive role models. Exhibitions of student artworks aim to build an awareness of Aboriginal culture through the depiction of artist’s personal experiences and knowledge. Engagement, reengagement and empowerment are key factors in the continuation of the program. Messages including healthy life styles, protective behaviours, genealogy, local environment and enterprise are imbedded in the sessions. The program aims to be sustainable.